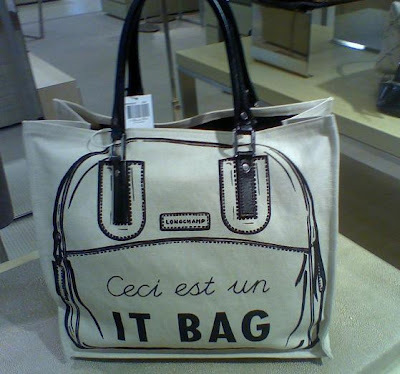 Normally I am not a Longchamp fan but I do find this canvas/leather tote very simple but darling. However, I don't know about paying $340 for a canvas tote. Would you? very cute--It's probably wrong to pay a lot for canvas but we've all done it :-) Go with your intuition!!! I don't think big name designers will ever sell items that are 'cheap' or 'bargained-priced'. I think sometimes it is justified to have a premium for an item that bears the designer's name and reputation. YES YES YES YES! This bag is on my wish list! I just think it's sooo adorable! Sharpie, uh, sounds like a project to me! $340?? Oh no...that so expensive honey!!! It is VERY cute...but a little too spendy for canvas! 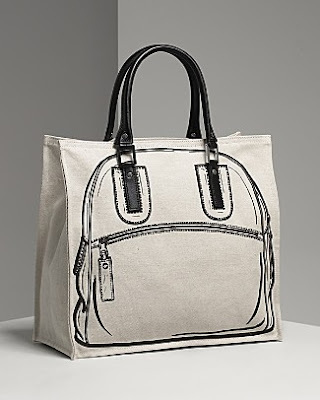 I saw the loveliest YSL's canvas tote and it was like $1,500... $340 is not THAT crazy! Hi there-a very cute bag, but it is pricy!